Very private with super discreet staff. The nothing-is-too-much trouble butlers have all been trained by ‘Magnums Butlers’ – one of the top butler training schools in the world. And it shows… we were really impressed! We didn’t regard Villa Toba as somewhere to hang out all day because there is no lawn or garden area, and no views. Nevertheless, the open-air areas have been made very attractive with the planting of flowering shrubs and trees and fully justify a few leisurely hours in the morning over breakfast before heading out to the world. To all the wonderful people at the Lakshmi Villas. We had a very relaxing, interesting and enjoyable time in beautiful Bali. Thanks for all your attention, smiles and kindness. What a fantastic stay in Bali at Lakshmi Villa. All future vacations will be measured by our experience here. Superb location, wonderful staff. Thank you so much for all your effort. We cannot wait to come back again. Thank you so much for such a wonderful stay again. We always feel so welcome here and couldn't ask for more. Thanks for a great stay at Lakshmi Villas. All the staff made it extra special for us. Superb service always. Our stay has been excellent. The service has been wonderful, the rooms are very comfortable and we will definitely come again. We highly recommend. Thank you for a most delightful stay at the Toba Villa. We were able to walk to the beach, the village, sight see and then return to the comfort of our magnificent villa. Thanks very much to the very friendly and obliging staff. Thank you to all the team at Lakshmi for a simply fantastic week. The villa was only outclassed by the smiles and service you all provided. Five stars. Although less than a week in Bali, you made our stay very pleasant. Nice villa, nice location, nice host and surely come back. Thank you to the beautiful staff at Lakshmi Villas, we loved Villa Toba. The service was kind and very attentive, nothing was a problem. We will be back for sure. Terimakasih banyak to all the staffs that looked after us at the Toba Villa. We had a wonderful stay and would definitely come again. Thank you for all your hospitality and assistance with our visit to Bali. We had a wonderful first visit to Bali. Villa Toba was fabulous. Beautiful smiley welcoming faces, everything we hopped for and more. Its been a great start to our holiday in Bali. Excellent location, professional and efficient villa staff. What an incredible week. The staff have been amazing. Thanks again for making our stay so wonderful. Hopefully we will be back again soon. This has been a magnificent stay. The staff have been friendly and incredibly helpful. We have found a haven in Seminyak, and its been very enjoyable. We could not have wanted for everything more. We will be back. Thank you very much for letting us stay in your beautiful villa, your staff are amazing. Thanks for everything we have all had a great time celebrating Molly's 24th birthday. Nothing has been too much trouble. The birthday cake was delicious. Thank you to the Lakshmi staff for making our stay such an enjoyable one. Beautiful pool villa, we have had a wonderful stay. Hopefully we will be back. Thank you for making our girls trip a memorable one. The staff are all lovely and very helpful. We felt very safe and cared for with the team always inquiring about our movements and plans for each day. Nothing was too much trouble - even arranged a Nutella coated cake for my birthday. Our villa was beautiful and always clean. Thank so much. Awesome few days. A sanctuary. We have been coming to Bali for over 25 years and our stay at Toba represent our best trip so far. Fabulous staff, always the Balinese smile and nothing to much for them. A 5 stars stay with 5 star Balinese care, the perfect combination. See you again soon. A huge thank you to Wira, Gusde and the whole team at Lakshmi Villas. We could not have been more looked after. You guys have made our stay so relaxing. We will be going home very happy and hope to return again soon. We really loved this place, we had a good rest - it was perfect. Great location close to everything and staff were fantastic and very helpful. Thank you all for making our stay wonderful and magical. Your attention to every detail, your gentle spirit, thank you. Our 4th stay and it gets better every time. See you next time. To the wonderful staff at Villa Toba, thank you very much for a wonderful, relaxing and lovely holiday. It was an absolute pleasure staying here and look forward to bringing our family back soon. Thank you so much for an amazing stay at Villa Toba. The hospitality we have experienced has been world class. The villa exceeded our expectations - beautifully appointed, amazing pool and such a good location we really didn't need to leave. Thank you Agus, Wira and your entire team for looking after us so well. We can't wait to return again in 2018. Thank you so much. Terima kasih banyak to all the staff that looked after us at the Toba Villa from 16 - 26 September 2017. We had a wonderful stay and would definitely come again. Thank you. A wonderful stay and great staff. The villas are fantastic. We stay in two villas Toba and Solo - both beautiful. Staff were fantastic and friendly. We will come back to beautiful Bali. We have had a wonderful family holiday staying in Villa Toba a real treat and so beautiful. The service and hospitality was exceptional and this is one of our best holidays. We will certainly recommend to our friends in Dubai. We had an amazing stay in Villa Toba, service was excellent, your team has made our stay pleasurable and cosy. Our heart felt appreciation to Wira for always going to extra mile by sending us to Potato Head and Body Works Spa. Wira is very helpful. We enjoyed our stay. Bali has been great and we would certainly come back here. Having traveled the world and Australia, we can honesty say that the staff at the villa have made it the most pleasant and unforgettable experience we have had. Thank you Wira, I understand why the villas are part of you life. Thank you for a wonderful time at Lakshmi Toba Villa. We loved the friendly service, the spacious rooms and the pool. We will recommend to our friends and family and we wish you all the best for the future. Great stay. Very well and cooperative staff. Excellent amenities. Thoroughly enjoyed. Thank you so much for another wonderful stay. You are been as exceptional as ever. Terima kasih and see you again very soon. Many thanks for a wonderful stay with very nice service. For us it was the first time in 10 years in Seminyak and a lot of fun and a great base. Nice and quiet. Thank you for amazing 4 days, staff were very helpful and accommodating. We will certainly recommend to our family and friends. We had a lovely time at Villa Lakshmi. The staff were at all times courteous and friendly. The villa was clean and tidy and the food was delicious. We highly recommend Villa Lakshmi. The location is excellent and we felt secure at all time. WOW. We have loved our stay here with you. Beautiful people. Perfect villa. fantastic holiday. Thank you to the wonderful staff for all the little extras that made our holiday special. Sad to go home. The staff were outstanding. Thanks for the wonderful time we had at Lakshmi Toba. Really enjoyed our selves. Staff are friendly and efficient. Hope to be back soon. We had a wonderful stay here at Lakshmi Villas Toba. I hope to visit Bali again soon and would love to come back and stay. Night time swimming were a highlight. The beautiful staff were helpful and friendly. See you again. Beautiful weather, beautiful villa, beautiful people. Thank you to all at Villa Lakshmi for making our stay so delightful and peaceful. Looking forward to our next visit. Thank you to the attentive and wonderful staff. We had a very enjoyable stay and will definitely be back again. Thank you from four kiwis for a fabulous stay at Lakshmi Villas. Superb! Thank you all for an amazing trip to Bali. Your service was amazing, breakfast was delicious, especially the gluten free toast. The villa was beautiful. We will be sure to recommend this place to every one we know. See you again in the future. Villa Toba what a wonderful experience you have give us. From the moment we arrived we were spoilt by your lovely staff, nothing was too much trouble. Each member took great pride in their role and the level of friendliness and professionalism was of a high standard. A beautiful and clean villa in such a great location. Thank you for our best family holiday to date and we can't wait to return. Thank you all staff for making us welcome. Most enjoyable experience will definitely be back. Thank you for a wonderful stay and for all the lovely coffee and meals. Everyone was very friendly and helpful we loved Villa Toba. Thank you very much once again for your fabulous service and friendly manner. Look forward to returning in August at Villa Solo. Thanks for looking after us. Its a wonderful villa (Toba) and an amazing friendly staff. Agus is the man! Villa Toba has been such a wonderful haven during our very busy week. The team are friendly courteous and accommodating, the villa gorgeous. I am ready to come in permanently. Thank you for your wonderful service and hospitality. Thank you to the amazing staff at Toba Villa. You made our stay unforgettable we will definitely be back. Outstanding service and facilities. Thank you all for the excellent service. We had a lovely and pleasant stay in Seminyak. Ryan could play in the pool for whole day. The location and surrounding are the best. To all the staff at Lakshmi Villas, thank you. We all had a wonderful time and look forward to our next visit. Great place to stay. Thank you for a great stay, we all enjoyed it very much. Thanks Villa Toba for a wonderful holiday. Always great service and food. You have made our trip a memorable one. Thank you for your hospitality. We loved swimming and thank you Wira for taking such a good care of us when we needed it. We will be back. Dear Wira Agus and all the wonderful staff of Lakshmi Villa. All of you were so helpful and amazing during our trip to Bali. We are definitely coming back and staying with you again. Super hospitality. An amazing stay and outstanding experience. Thanks for making our stay in Bali a real treat. 10 day of paradise. Villa Lakshmi provided the perfect respite from our busy Sydney lives.The service and staff were wonderful and the villa itself is just perfect for Bali living. The kids and us adored the pool. It was so tempting each day. We could home just stayed in the villa each day instead of exploring. Needless to say I am sure we will be back again. With much thanks and appreciation. Thank you so much for fantastic experience it was like a dream, thank you for your exceptional service. My second visit to Villa Toba and certainly not my last. Thank you ever so much for making our get away lots and lots of fun. You guys crack us up and make us laugh everyday. We cant wait to come back with our families for more fun and happy days. Keep smiling! Thank you for making our time in Bali so special. We look forward to coming back again, hopefully very soon. Agus, Wira and staff. Our grateful thanks for such wonderful hospitality and humor. We shall return. Great experience at The Lakshmi Villas Toba. Staff always amazing and location is excellent for the beach and La Luciola dinner. Thanks a lot for this nice holiday. Thank you Agus and Wira. Thank you for the staff at Villa Toba who attended to our needs in a very caring and polite way and were always so lovely with our children. Thank you for looking after us in Bali. It is a beautiful country full of realy friendly and lovely people. I will miss it a lot and will be back soon and thank you so much for making our stay in Seminyak so special, almost too good to be true, amazing villa, kind and generous help from everyone. Again thank you from your London friends. Thank you for a wonderful stay, great staff, prompt service, smiley faces and good BBQ. Thank you so much for Villa Toba. I had a nice holidays with my family. The villa has a delicious dinner and the ultimate housekeeper. If we come back to Bali island I will choose the Villa Toba. Thank you Wira for a superb stay. Villa Toba was as fantastic as expected with great staff friendly and prompt service always with a smile. Many many thanks to Wira. I hope to return soon. Thank you for a great (but short) stay in Seminyak. We will definitely be back. Than you Villa Toba and all the staff for your kindness. We spend great time in Seminyak. Thank you, we will come back for sure. Thank you for our wonderful, relaxing stay at your beautiful villa. It was a short visit this time but perhaps next time we can stay a little longer. The service, location and serenity have been excellent. Thank you so much for awesome hospitality. The service has exceeded all expectation. We loved our daily breakfast - fried noodles and fried rice and we extremely impressed with the cleanliness of our room and the pool. We will come back again for sure. A luxury peaceful place in the heart of Seminyak. Beautiful villa. Great staff. Perfect location. We loved our stay and can't wait for the next one. Many many thanks to the wonderful Lakshmi team. A special thank to Agus and Chef for a wonderful cooking class. You hospitality has been great appreciated. You have helped make our Bali holiday a true delight. Villa Toba is a lovely retreat in the heart of Seminyak and your hospitality makes it even better. A perfect relaxing hideaway for my parents first time in Bali, close to great restaurants and shops, but we would never need to leave Villa Toba. Special thanks to chef for the Balinese feasts. To the amazing team Lakshmi Villas. We had a brilliant stay at Villa Toba, a beautiful villa and the service is wonderful. 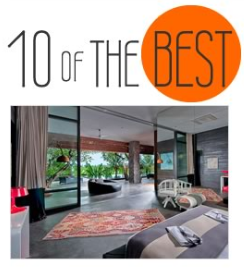 This is our forth time staying at one of these villas and every visit gets even better. What a great week we have had, everyone has been so helpful and wonderful. it is such an idyllic spot and you guys make it even better. We really appreciate everything you have done, the food was fantastic and service fantastic. Thank you so much for your hospitality, the great room service, meals were fantastic and the whole villa was a delight with great touch of comfort. We really enjoyed our stay in Bali - ending it with an amazing villa topped it off. Once again a big thank you to you all. Thank you for your wonderful warm and welcoming service. The villa was immaculately maintained through out our stay, the breakfast service very good (we really liked the freshly baked pastries in particular). All the team here is fantastic we will definitely stay here again. To the wonderful Lakshmi villas team. Thank you for looking after us so well during our stay. Peaceful, tranquil place in a wonderful location. The food and service was fantastic. We will definitely be returning again some time soon. Thank you so much to all the staff here at Lakshmi Villas. We enjoyed our stay here in Villa Toba very much. A little slice of heaven in the middle of busy Seminyak. Thank you for being so polite and willing to provide us with whatever we wanted. The service is wonderful. We mostly enjoyed the delicious food. Almost no need to leave the villa. We enjoyed meeting each and everyone of you. To the team at Lakshmi villas. Thank you so much for this amazing experience and a wonderful stay. The villa was beautiful and the entire staff was so helpful for this amazing experience .Also special mention to Wira who met us when check in and helped us for planning our trip and ensuring a nice cake for my parents anniversary. I hope i come back soon to Bali and will definitely stay only @ Lakshmi Villas. Thank you so much for this amazing experience and a wonderful stay. The villa was beautiful and the entire staff was so helpful for this amazing experience. Also special mention to Wira who meet us when we checked in and helped us for planing our trip and ensuring a nice cake for my parents anniversary. I hope i come back soon to Bali and will definitely stay only at Lakshmi Villas. We came here with our 5 year old and our new born. The staff here was most helpful. The villa amenities are well maintained, clean and very comfortable. The staff here is amazing and standing by to catch to all our needs. We even had meals in villa which were delicious. I highly recommend this villa and will certainly stay here again. Great job. To every one at Lakshmi Villas - thank you again for a very enjoyable stay. We have been staying at Lakshmi Villas for the past 10 years. we always come back because of the beautiful villas, wonderful food & fabulous staff. We have had a lovely, relaxing holiday here at Lakshmi Villas. Is peaceful, tranquil and Villa Toba was very comfortable. All the food we have had was cooked to perfection, the chef is very good. All the staff are fantastic and very helpful. Nothing was to much trouble. What a perfect place Lakshmi villas is for a holiday. Keep up the great atmosphere. We will miss our little sanctuary in Seminyak. Thank you. Absolutely loved our stay at Villa Toba, Friendly and helpful staff, immaculate gardens, exceptional bedroom and bathroom areas and right in the heart of the popular seminyak area. Will definitely stay again. Great position near Seminyak Square and the beach. Villa was quiet as no other guests and very clean and the pool a welcome escape from the heat. Breakfast was very nice and staff assisted when requested to do so. Place suited two couples looking for a quiet escape from the world. Lovely and relaxing, very attentive and friendly staff, and excellent breakfasts. We absolutely loved Lakshmi - the whole experience was flawless, the staff were amazing. The villa itself is gorgeous and in the best location. We will definitely be back! We had a fantastic stay at Villa Toba! The villa itself is immaculate very clean and tidy and so close to all the shops and restaurants! 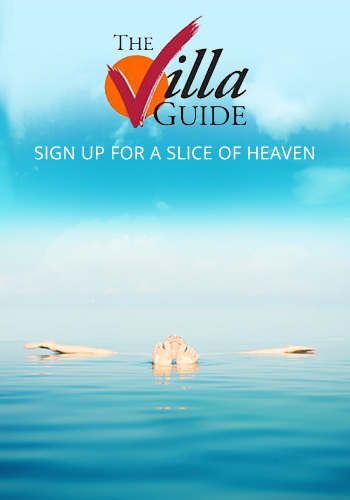 Staff were extremely friendly and I would thoroughly recommend this villa to anyone! We have just had a great week at Villa Toba. The Villa was excellent and the staff could not be faulted, they went out their way to ensure that we enjoyed our stay. Great location in the best section of Seminyak short walk to trendy shops and cafes. Excellent full service staff - which is rare for a small villa. Highly recommended. based on 101 user reviews. Most villas of this size in Seminyak are self catering. Therefore, a personal butler on call 24/7, plus a menu of delicious food (prepared by a chef in the main service kitchen), is a treat indeed. Villa Toba is very private, and immaculately clean, even though it was built in 2006 it still looks spanking new. The furnishings are all high quality with rattan sofas and gorgeous fabrics and artwork. If you’re into shopping, going to the beach, fine dining and nightlife, this is one of the best locations in Bali; it’s all within walking distance. Another thing we liked about Villa Toba is that it is at the end of a cul-de-sac so there is no sound of passing traffic, and it’s very safe and secure.